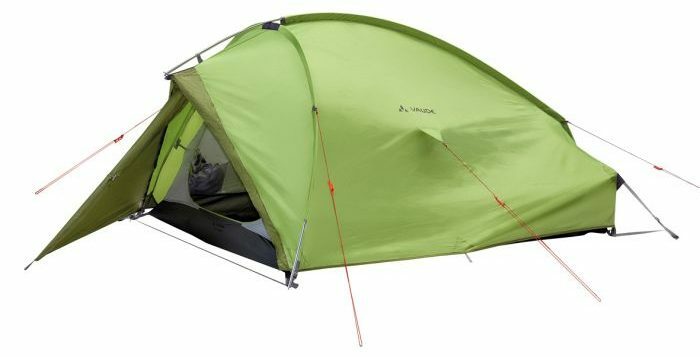 The Vaude Taurus 2P tent is a nice three-season tent from Vaude. At 2.6kg it’s not the lightest, so you’re unlikely to use it for solo backpacking, but for camping with the car it’s quite spacious, and a good price. 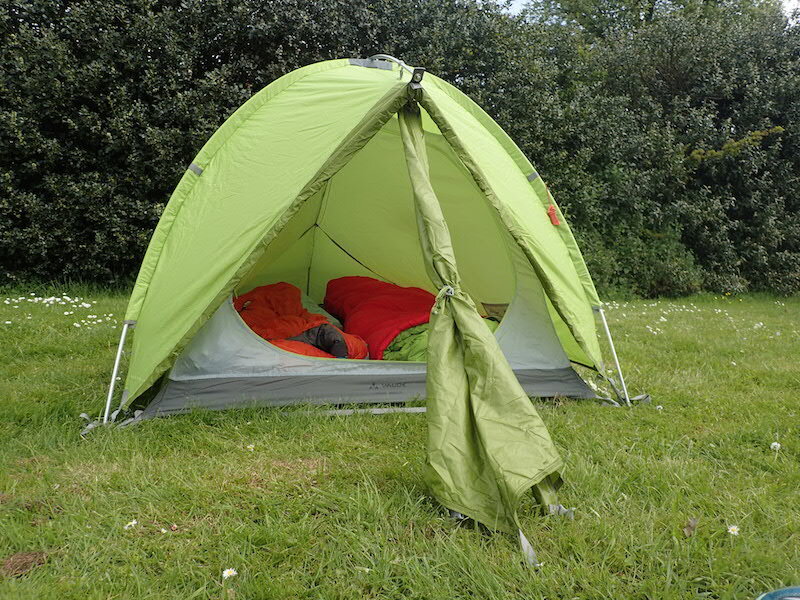 The Taurus pitches inner and outer together, and it is free standing – both features we love when putting up a tent. There are two chunky poles, one that goes down the tent’s spine and one that hoops round the front. While it’s not hard to pitch, the poles are similar in length, so it would have been even better if they were colour coded, for those stressful times when you’re putting it up in the dark or the rain. A downside of the tent is that it only comes with six pegs. This isn’t even enough for all of the peg points on the flysheet, let alone the four guy ropes. 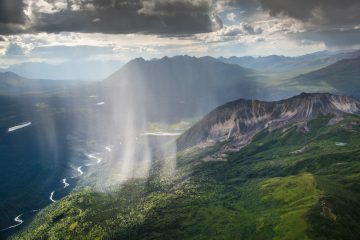 Unless the weather is promising to be completely still and dry, we’d recommend getting hold of a few more. The tent has one porch with two doors, and each door has a two-way zip. 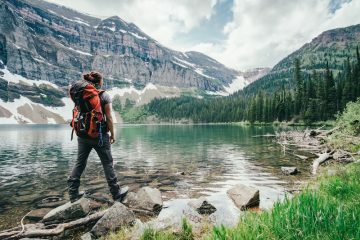 This is really good for ventilation options, and to reduce the chances of waking your trekking partner or treading on everything in the porch when you leave the tent. Both doors can be almost completely rolled back in sunny weather too. The porch itself isn’t that huge, but the chances are you’ll have a car to dump some stuff in too. 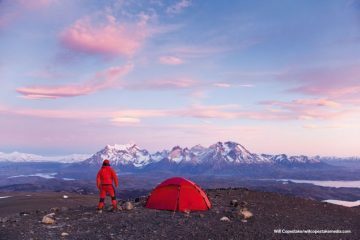 Inside the tent is wide enough so that you won’t be getting too cosy with your trekking buddy (unless you want to). 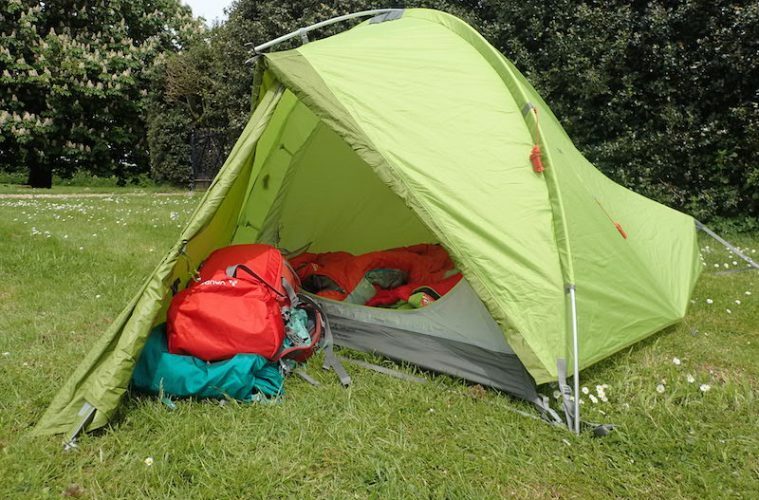 Particularly noticeable is the design at the foot area, which means that your feet won’t touch the roof of the tent here, even if you’re tall. There’s room to sit up at the head, although taller people will be a bit cramped. I like that the Taurus has a built-in washing line on the ceiling. 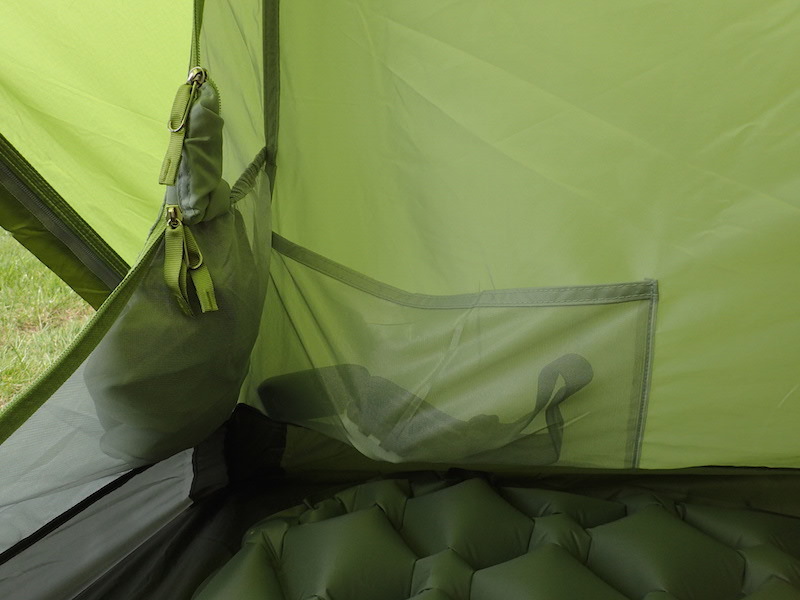 So many tents have the hooks, but I’d never bother packing some string – but if it’s there already it’s really handy. There are also a couple more hooks on the ceiling, a pocket for each person, and there’s a separate pocket to stuff the inner tent door into too. The inner tent door has a mesh panel and is two-way; this, combined with all the ventilation in the porch, will let lots of air in here, but there are no ventilation points anywhere else in the tent. 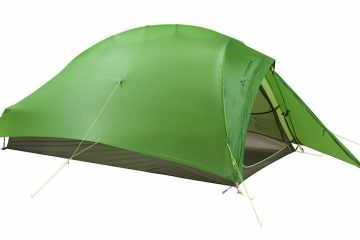 The Vaude Taurus 2P may be short on pegs, but it’s good on foot space. 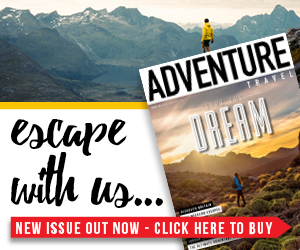 This review first appeared in a group test in issue 124 of Adventure Travel. 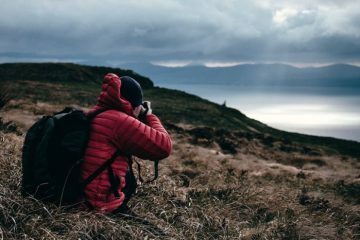 To make sure you keep up to date with the latest gear reviews, news and travel inspiration, subscribe here. 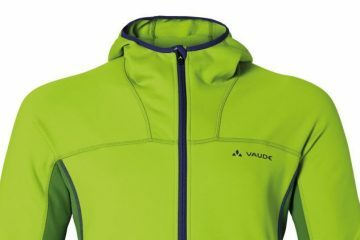 Win a Vaude lightweight tent worth £475!